Another tiny walled town situated above the more modern development, this town is famous locally for its vino cotto (literally, cooked wine). It is worth wandering around the quaint little cobbled streets and exploring the older part of Loro Piceno. 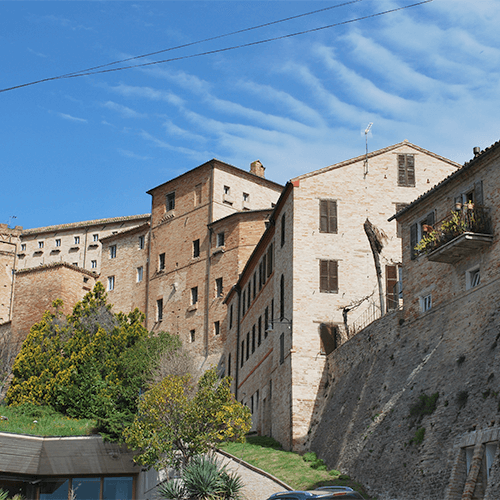 Another recommended restaurant is Al Girarrosto, set in a renovated wine cellar of a 17th century Franciscan monastery.